If you have ever spent time traveling around the world, you know how beautiful birds are. We have traveled around Australia and could not resist stopping to capture many of the birds. Bird Watching is a terrific hobby although very frustrating too, when crawling on hands and knees near snake infested swamps to catch that special shot. We have snapped eagles while they feed on road carnage beside the road. The frustrating part of this is in many cases all you do is get a shot of the dashboard. We found the answer to that was a dashboard camera, which captures everything it sees when mounted on the windscreen. This type of camera can also be a lifesaver as it can prove that you were not responsible if involved in an accident. These are colorful birds of medium size; they have distinctive tail-streamers, although the hasshorter thicker tail streamers than the male. The golden crown and red eye rests in a wide black stripe. Upper parts green with coppery flight feathers, they resemble some kingfishers. The Rainbow Bee-eater often found in open forests and shrub lands, usually near water. They feed mainly on insects, bees, wasps and take them back to a perch and bang them on the branch before eating. We have seen the largest of Australian birds the Emu, right down to the little tiny finches, which fascinate us as they flit from one spot to another entertaining us with their little antics. The first sighting of an Emu on the West Australian coast was by European explorers in 1696. The Emus rely on their strong-clawed feet to defend themselves. They can rip through a metal fence while fleeing through the paddocks. Emus when standing reach up to nearly seven feet high and cannot fly. Their brown feathers hide the strength of those long legs reaching speeds of up to 50 km/ph. Did you know that the emu is part of the emblem on some Australian coins? These birds are magnificent, powerful and the largest bird of prey in Australia. Their wingspan reaches up to two and a half meters. The female measures 1000 mm and larger than the male 900 mm. The adult’s feathers black and young have a golden brown changing to black as they age. Eagles congregate in groups of twenty or more, and feed off the road carnage. Two or three will feed, while the others perch in nearby trees waiting their turn. Eagles will soar high on the thermal air currents, watching with their eagle eyes for prey in open ground. The Eagle is one of Australia’s protected birds. If you hate changing lenses then this is the best and cheapest way to capture those birds hiding further away. 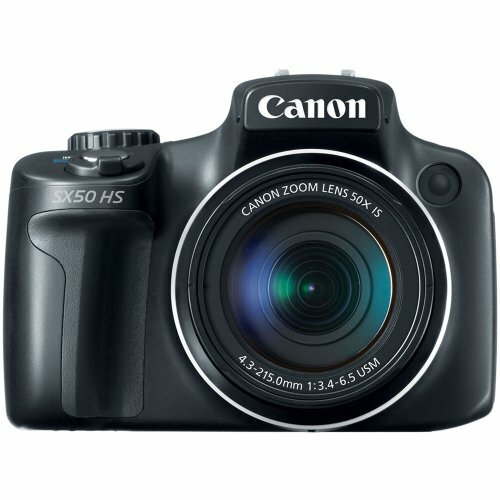 As it comes with a 50x Optical zoom lens to bring the birds closer to you without having to carry bulky lenses. It also takes videos for those extra special shots. Or like us capture great shots of the moon. with ours. There is nothing better than waking up to the sound of a Kookaburra Laughing. How many times have you heard and laughed along with them? Yes, I could not believe it at first that the Kookaburra's are part of the kingfisher family as they are so much larger. You can see these in the lower part of Western Australian coast. More often seen up around Port Hedland, the DE Grey River is where I spotted this one. The unusual sound these make is what first attracted my attention; they sound more like a dog barking than a Kookaburra. Both of these are approximately 40- 45 cm. to take better photos you should have a tripod. It does not need to be the most expensive. although you need something sturdy enough to hold your camera steady. This one comes with an extension to 72" and its own cleaning cloth with a carry bag. The Magpie takes its name from a pied crow in Europe. There are many variations of these species, the black backed, the white backed and the western magpie. They have glossy, almost polished feathers. Each variety has clear black and white markings, although each one marked in different ways. You can see these all over Australia except the centre of Western Australia. Another name for them is the butcher bird. They rely on their powerful feet as they hop and run across the ground chasing after insects, grubs often seen digging with their sharp beak in the ground at the base of trees. They also enjoy being hand fed raw mince and make beautiful pets. Magpies also live in groups of five to twenty birds. Magpies during nesting time will often swoop on people or children to grab their hair for building their nests. I have often seen them collect shiny objects and hide them in the center of palm trees. Approximate length is 380 mm to 440 mm. 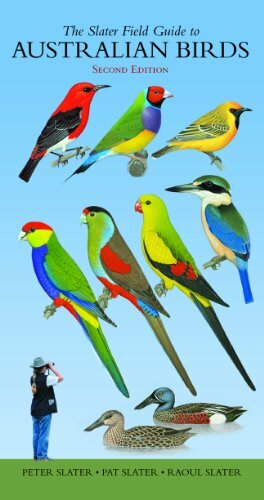 The Ringneck on the right in picture above, commonly called a Twenty-Eight in Australia. These birds often fly across the roadside or after rain drinking on the sides of the road. Their beautiful green and yellow plumage flashing against the background of the Australian bush in the sunlight. They enjoy eating a variety of grasses, seeds, cyprus pines and acacias, fruit, leaf buds and blossoms. They like to live in small groups and keep to the same pairs. Nesting: They breed between July to February occasionally having two broods in one year. Building their nest in hollow or branch of eucalypt tree, laying between two to six eggs. Incubation occurs between nineteen to twenty days by the female. 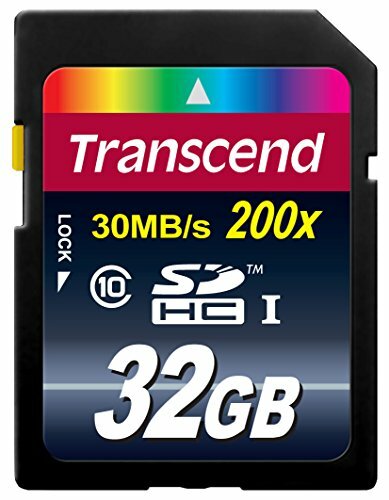 Capture all your images, and videos on a reliable memory card. This 32Gb will capture thousands of images without running out. You can use these in dashboard cameras too. There is nothing worse than going on a long trip and halfway there your camera comes up with the sign card full. This one will prevent this from happening. Although you still need to down load them onto your computer for safekeeping. Many people take the common Pink and Grey Galah for granted. Normally seed eaters, these birds can be a real pest of any green garden lawn. A group of fifty or more can destroy the roots in a matter of minutes. At the same time, these birds also make beautiful talking pets. A Galah will spend most of their time in the eucalyptus trees lining their nests with their leaves during breeding time when not on the ground feeding. During the first rains, you can see them hanging upside down in the trees. Length of the Galah is 350- 360 mm. These are beautiful little birds, that love to interact with people and we have often seen them playing on the car windows and looking at themselves in the mirror. These birds are the only tropical members of the flower-peckers. This means they eat exclusively of the fruits of Mistletoes, once eaten the seeds pass through the birds within 20-60 minutes after ingestion. The seeds germinate in the branches of trees and grow. This creates more food for the Mistletoe birds. Length of the Mistletoe is between 100 – 110 mm. These are beautiful, inquisitive little birds, which flit about in the undergrowth of shrubs in the bush and beside the rivers and creeks. They live in the lower coast of Western Australia and central eastern inland. Eating a variety of insects as it forages on the ground. Superb Fairy-wrens also live and breed in groups. Conclusion: If you enjoyed seeing these beautiful birds, then you too can capture images like these by joining a bird watching group or taking trips out into the bush with your camera. There is also a Western Australian Bird group on Facebook. Amateurs and professionals share their images on this site. If you have trouble identifying any you see then there are books like the one below to help you. Australia has many different types of wonderful animals and insects to see while travelling through this beautiful land. While out bird watching and capturing images with your camera spare a thought for the dangers facing these beautiful birds from pollution. If possible remove any rubbish or harmful materials to prevent injuries and death to these birds. If you have ever seen some of these beautiful birds but are not sure what they are then this book will help you to identify them. It also gives you some information on where to find them what they eat other other interesting facts on breeding. This is so nicely done and these birds are beautiful. They are exotic birds, at least from the perspective of someone living in the United States. This is pinned to my "See the World" board. Thank you so much for your lovely comments ologsinquito. We love snapping shots of so many beautiful birds animals and even butterflies while traveling. Add the scenery and we just have a ball finding that next special something new. Traveling is so interesting. Thanks for this great article and amazing pictures! Thanks for taking the time to read and comment. They are beautiful and they really sound like they are laughing, hence the name. I hear them where we live sometimes, but not often enough. I still join in and mimmick them too. You Australians have such wonderful wildlife. I'm especially intrigued by the last two birds--the Mistletoe Bird, and the Splendid Fairy Wren, which certainly deserves its name. Thumbs up for a great article. This is a great article and very informative. Your photos are wonderful too! I live in the United States and there have only been a couple of other places I would like to travel to and Australia is one of them and that is because of the birds! You folks have all the exotic birds living naturally in the wild that we in the US can only see in a zoo or purchase in a pet store. I love to see these amazing creatures in their natural habitat! Great article and thumbs up! Thanks so much Janey, I would love to see your Bald Eagle I reckon they are beautiful. We had a thing on the net years ago where someone set up a web page to watch a pair nesting and hatching their young. We kept going on net to see it every week then something happened and no more sighting. Don't know if eggs not fertile or what but it was great watching them up in there nest.